Time has gotten away these last few weeks of summer with weekends filled with fun, laughter, family and friends. (I will share some of the moments in the week to come.) Driving across the state this past weekend I noticed some of the trees already starting to turn color, the nights are cooling off and fall is right around the corner. Although my uniform in elementary school included large amounts of navy, I am falling for this color as it makes it’s way back into my wardrobe. 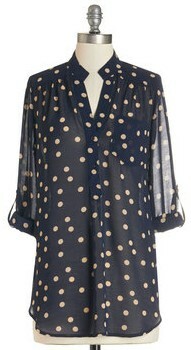 Dare I say navy is the new black, add a gold necklace or a fun pop of color to change up the look. Here’s a few finds as we begin the transition from summer to fall. Ive been in love with Navy lately. Pretty find in the scarf. Thanks! And right when I thought signs of Fall were showing, next week shows 90!